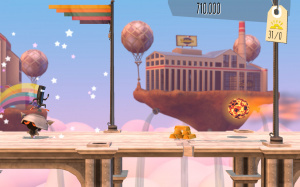 BIT.TRIP Presents: Runner 2 Future Legend of Rhythm Alien — let's call it Runner 2 from now on — has no doubt been on the wish-lists of those that were fans of BIT.TRIP RUNNER on WiiWare. It looks to feature the same running and jumping mechanics, but with a new graphics engine, environments and characters. The launch trailer for this is below, so how many of you are keen to download this one? I've been playing a lot of BIT.TRIP SAGA recently. Woot! I'll be all over it the second it drops. Gimme! Gimme gimme gimme (and maybe I could get the boyfriend off ZombiU for an hour or two). I haven't played a Bit game yet but this looks pretty good! Looking forward to checking it out on Wii U! @NintendoNaut Sorry, just looked at Twitter and don't get it! What edit is in order? Hopefully I have enough left over money to get it tomorrow. February 26, 2013: The day none of my homework will be accomplished. I just got Trine 2, so I doubt I'll get this immediately. However, I'd to get it sometime. So tomorrow? Awesome! I've been waiting since launch for this game. I like that games don't seem to have to release on Thursdays. Makes for nice surprises such as this. Ooh, I do hope it's available tomorrow. Loving this early release for indie eShop games thing we have going on. Runner2 shall join Little Inferno (get it!) and Puddle (maybe get it!) on my list of initial Wii U downloads. If it's 1/2 as awesome as RUNNER, this is a happy happy day. The eShop has had the release date posted as the 26th for days. For some reason, the crab shack around 00:30 reminds me of Flapjack. Oh my god it's so beautiful! Got to get a points card tomorrow! So I guess there's no specific download day anymore is there? Need points card NOW!!!!!!!! Please wallet permit me this pleasure. Yeah! I like that pickle looking character $14.99 seems pretty steep, but that game does look like alot of fun. Glad to see more eshop on the Wii U. Not my kind of game, but glad for everyone who will enjoy it . That same Direct stated that Zen Pinball would be out in February as well. Doesn't look like that is going to happen though. Wow, nice! I'll be sure to download it tomorrow. The first Runner was my favorite part about Bit.Trip Saga. Ok, now I need to go to the store and get a eShop card because this game is a must have for me to get! For those on the fence about Runner2: Don't be. 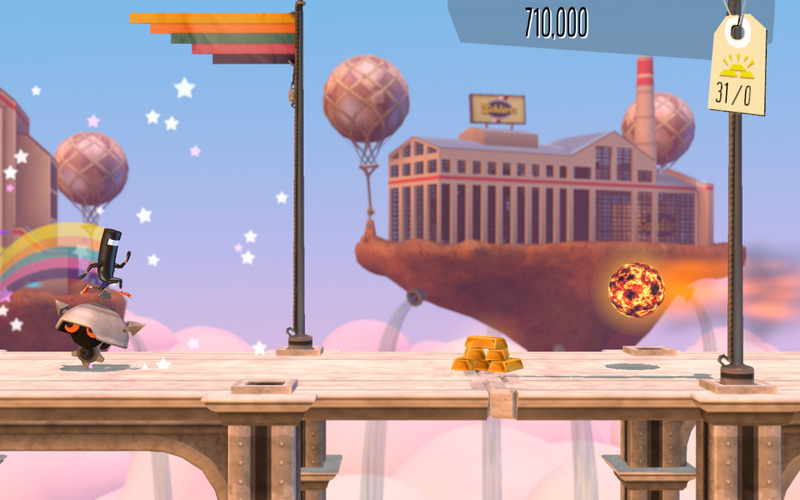 Runner2 is the first must-have eShop game. @ThomasBW84 Sorry! I deleted that comment right after I made it because I was in error. Can't believe you actually saw it! I was simply referring to Bit.Trip's tweet about the game being available in 19 hours. I thought this article was referring to this whole gig being a rumor but it clearly says "Confirmed." Like I said, my mistake. @stratostar im on the fence with this one ive never played a bit trip game before. i have money for toky tory 2 on the eshop, should i spend that now (kinda really wanting a new good game) and try to get more for it later? Meaning this week will be a good week of digital releases no matter what! Two weeks in a row, how about that?! Nice to see our north american friends getting Bit Trip this week, but what about Europe? Are we to assume it will be in next weeks new release schedule for the European eshop? or will be later due to localisation issues? On their website in the blog they say that it will only play with the GamePad and not the Pro Controller. A bit of a shame, but I'll get over it. Us europoors are getting screwed again. @Stratostar You're almost right; it's the second (after Little Inferno). Methinks it'll be the first for players who value entertainment over art, which is perfectly fine. Either way you slice it, these are two of the best games of all time in my humble opinion. @gaDronilDdos So far we actually got more games before the US on Wii U. At least Puddle and Zen Pinball 2 were here first, and both by a margin. IIRC only MSF came out first in the US, but that appeared rather quickly here too. Great! Another sidescrolling game which does not represents the graphical power ofd the WIi U. No thanks. @Obvious78 Don't tell me you're one of the graphics gluttons... -_- Dude, graphics don't make the game, gameplay (and often stories) that make it! Besides, it's an indie title, not an AAA! The price should be $14.99, and as the tweet in the article shows us Europeans need to wait a bit. Darn! @Obvious78 It's not the graphics that count like what @beta said, it's the gameplay and story that make a game great. hopefully the first 5 seconds of the video is in the game. can't wait! Trine 2 did that. But I found that game to be the weakest of the DL bunch. I find it very pretty.....and somewhat dull. Just snagged it. So much for getting some drawing done today. Shoot.I'm only about $7 short for getting this. Downloaded it as soon as it hit the eShop. Its already addicting and I love that they now give you the option to change the difficulty setting. The game looks and plays great! Hopefully Zen Pinball 2 comes out,as well. Never played these type of games. But I must say I'm impressed. Very entertaining! I get it! Those graphics look incredible!